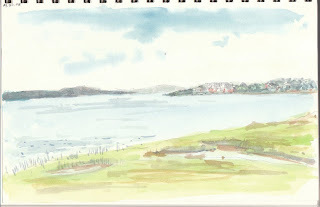 More salt marshes - seems to be a recurring theme. They are such a normal sight around here that we really kind of take them for granted. 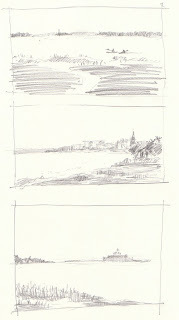 The top thumbnails and following watercolor sketch are from Hog Island (the bottom thumbnail shows Fort Sumter). 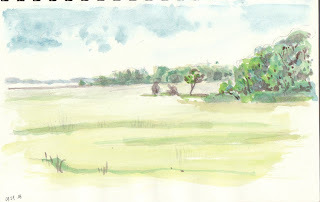 The bottom watercolor sketch is from Shem Creek.